Everything you need to have a top tier hiring process and more. Yes, I want to hire A-Players every time! Everything you need to have a topi tier hiring process and more. Bi-weekly live Q+A to discuss your most burning recruiting questions. Over FIVE hours of video training with FORTY-FOUR lessons. I want the A-Player Hiring Blueprint now! "Why should I listen to you?" I’m the CEO of a digital marketing agency called Single Grain, which helps companies like Amazon, Uber, and Salesforce get more customers online. I took over Single Grain when it was a failing agency, invested in content marketing, and turned it into a multi-million dollar company. 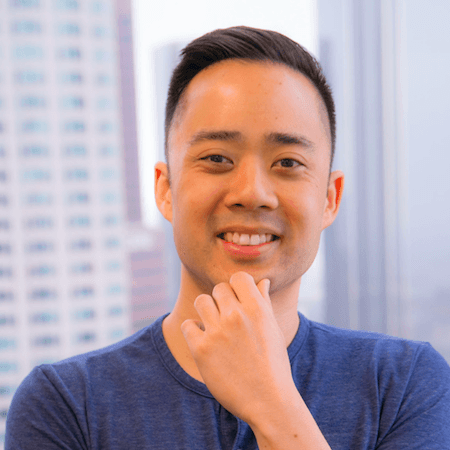 I host the Marketing School podcast with Neil Patel (10M+ downloads), Growth Everywhere (100k+ downloads / month), and Single Grain’s blog gets 100k+ visits / month.